Washington Crossing is a historic town in Pennsylvania. Day trips are fun and recently I went on a Saturday afternoon outing to Washington Crossing, Pennsylvania (a new place to visit) whose itinerary merged together two of my (long-time) likes: wine and yoga. Heading to the Hells Kitchen neighborhood of Manhattan – and a last minute shopping dash to and from a sporting goods store upon realizing I left my yoga mat at home – I boarded a bus with about 35 others for a day of stretching and sipping. Roughly about a two-hour ride from New York City, our group reached Washington Crossing, a small village in Pennsylvania’s Bucks County. It’s a rural and quaint town with significance in U.S. history. For our first stop, we arrived at Washington Crossing Historic Park in Upper Makefield Township for an outdoor yoga session. The park is a lovely outdoor venue, based on the banks of the Delaware River. There are opportunities for strolling, jogging, and yes, even yoga by the water. 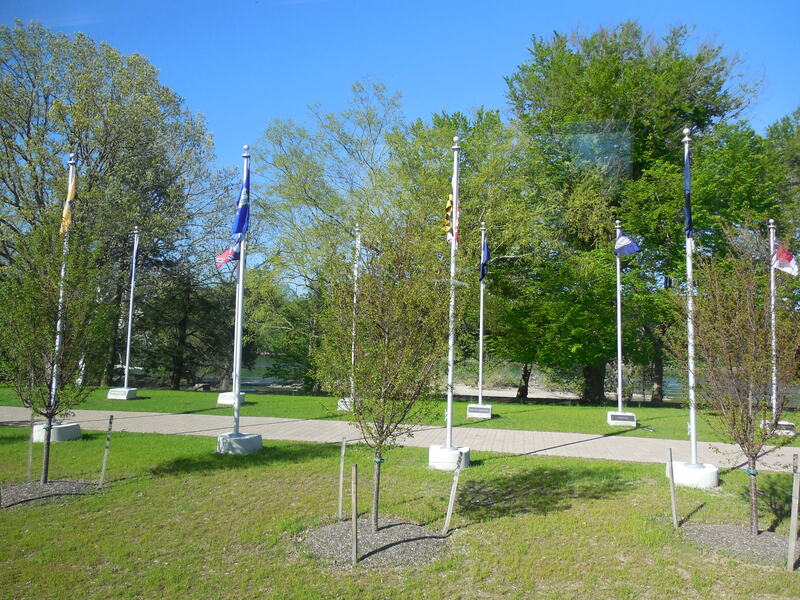 Washington Crossing Historic Park has an important link to the American Revolutionary War. Though my group’s time there just lasted an hour, I got to learn a bit more about this park. 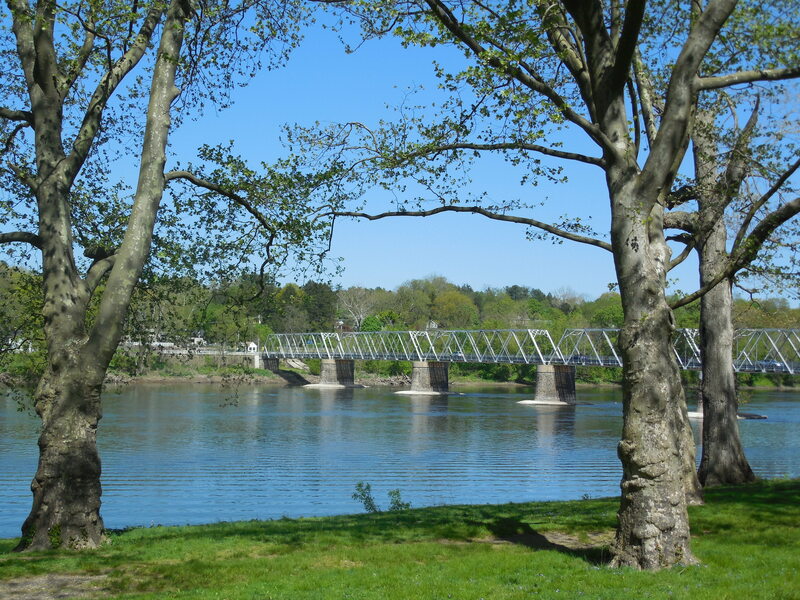 As you may have guessed, the park gets its name and fame as the site where General George Washington crossed the river around Christmas 1776 during the American Revolutionary War. He and his troop surprised Hessian troops stationed in what is now called Trenton, N.J.
On the U.S. National Register of Historic Places, the park contains a number of buildings that give glimpses into Washington Crossing’s past: 18th and 19th-century homes, a former general store/post office (used when the town was known by its previous name, Taylorsville), and a replica of a boathouse used by Washington and his men. Also, find there an inn/tavern run during Washington’s time. Of course, our future first president ate and planned his military strategy there. 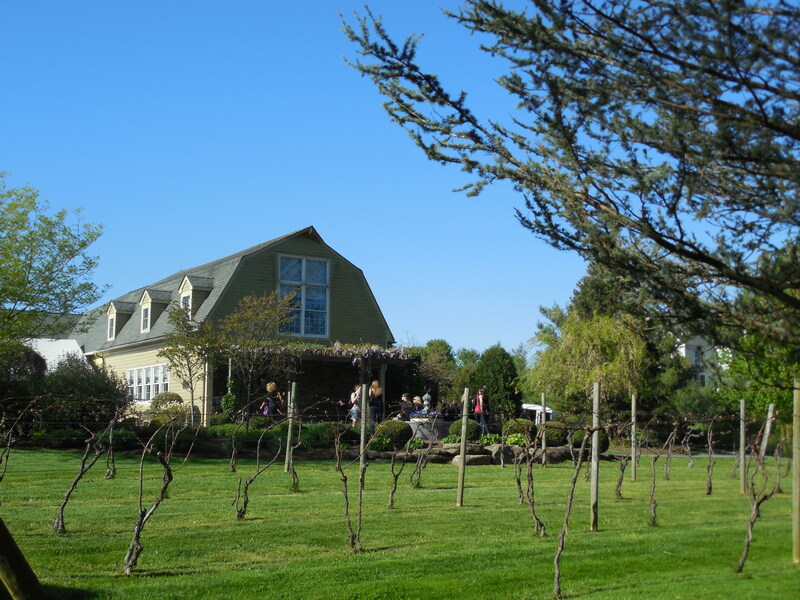 Crossing Vineyards and Winery, located on a 200-year-old estate, produces a number of whites, red and specialty wines. Moving onward, the day’s part two led us to lengthen our taste buds at a winery less than a mile away. Crossing Vineyards and Winery is located on a 200-year-old estate, where the current vintner grew up as a child, and operates on modern sustainable practices and with state of the art technology. For example, a computerized weather station records data on rainfall, temperature, dates of frost, and hours of sunshine to help with determining grapes that will grow best in the microclimate. Laser planting has been used in planting 10 acres of Vinifera winegrapes to help budding vines get a better and safer growth start. Today, grape varieties grown here include Chardonnay, Cabernet Sauvignon, Cabernet Franc, Vidal Blanc and Chambourcin. With its focus on handcrafting subtle yet refined wines, Crossing Vineyards and Winery produces a variety of whites and reds as well as specialties including Sangria and Chocolate Cherry Truffle, a Port-style dessert wine. My group enjoyed a late afternoon tasting with 10 wines paired with various cheeses and chocolate. Samplings including Chardonnay, Cabernet Franc, Viognier, Merlot and Sangria. A fan of Sangria and flavors of chocolate and cherry, I purchased two bottles to take home. Definitely make a day trip to Washington Crossing! This entry was posted in Food/Wine, Historic Places, United States, Washington Crossing and tagged Crossing Vineyards and Winery, sites to see in Washington Crossing, Washington Crossing, Washington Crossing Historic Park on May 10, 2013 by She Is Going Places.